Hosting an awards show like the Oscars is not as glamorous as it used to be. With ratings continuing to decrease, it’s nearly impossible to find someone who wants to take on the gig. Even when they do manage to find someone, how well (or poorly) the show is received may very well be on them. So as you can see, it comes as no surprise that it has taken as long as it has to find hosts for upcoming awards shows. Kevin Hart was just hired to host the Oscars. 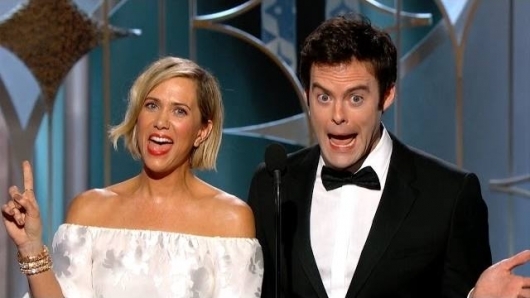 So not to be overshadowed, the Golden Globes will be flexing its muscles by bringing in two hosts. A very unlikely pair. New reports confirm that Sandra Oh and Andy Samberg will host the 76th Golden Globe Awards. More on the report below. Sure it has been fun to see Tina Fey and Amy Poehler cut loose during the Golden Globes, but after a three-year run, this year’s awards ceremony was to be their last as hosts. They’re a pretty tough act to follow, but the two actually came after Ricky Gervais, who had his own three-year stint at hosting the awards show with his own brand of humor. So how could anyone follow those three up? Well, the Hollywood Foreign Press Association (HFPA) seems to have solved that problem as they have gone back to Gervais, and confirmed that he will be returning to host the Golden Globes in 2016. More on the story below. The ceremony, hosted by Tina Fey and Amy Poehler for their third and final time, had a lot of great moments – some funny, some poignant, some noteworthy. There was the hilarious opening by the hosts, another classic Benedict Cumberbatch photobomb, a lot of George Clooney love, and much more, including several references to the recent threats on the entertainment community from North Korea and the murders at the Charlie Hebdo offices in France. 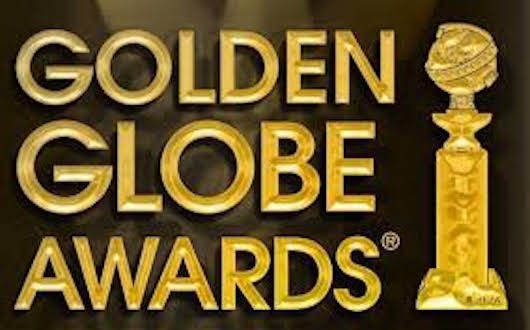 See below for some highlights from the 2015 Golden Globe Awards ceremony.